ATLANTA, September 7, 2017 /3BL Media/ – UPS (NYSE: UPS) made the Dow Jones Sustainability World Index (DJSI World) for the fifth consecutive year and the Dow Jones Sustainability North America Index for the 13th straight year. The highly-regarded indices evaluate companies on their sustainability performance and positions UPS in the top 10 percent of sustainability performers among the 2,500 largest companies tracked in the S&P Global Broad Market Index. UPS recently announced aggressive new sustainability goals to add more alternative fuel and advanced technology vehicles to its fleet while increasing its reliance on renewable energy sources. UPS’s goals include a commitment to reduce its absolute greenhouse gas (GHG) emissions from global ground operations 12 percent by 2025; that one in four new vehicles purchased annually will be an alternative fuel and advanced technology vehicle by 2020; that 40 percent of all ground fuel will be from sources other than conventional gasoline and diesel by 2025; and, that 25 percent of the electricity UPS consumes will come from renewable energy sources by 2025. Companies are selected for inclusion on DJSI based on an in-depth analysis of various economic, environmental and social factors with an emphasis on long-term shareholder value. Created in 1999, the DJSI was the first global index to provide benchmarks for measuring corporate sustainability. The use of primary research, rules-based methodology and focus on best-in-class companies by DJSI make these indices valuable tools for examining leading sustainability-driven companies around the globe. More than 3,500 companies were invited to participate in this year’s Corporate Sustainability Assessment. Recognized as one of the “World’s Most Ethical Companies” by Ethisphere Institute for the eleventh consecutive year. Chosen by CR Magazine as one of “100 Best Corporate Citizens” for the eighth consecutive year. Named to the Civic 50 for the fourth time. To learn more about UPS’s sustainability efforts, visit ups.com/sustainability. UPS (NYSE) is a global leader in logistics, offering a broad range of solutions transporting packages and freight; facilitating international trade, and deploying advanced technology to more efficiently manage the world of business. UPS is committed to operating more sustainably – for customers, the environment and the communities we serve around the world. Learn more about our efforts at ups.com/sustainability. Headquartered in Atlanta, UPS serves more than 220 countries and territories worldwide. 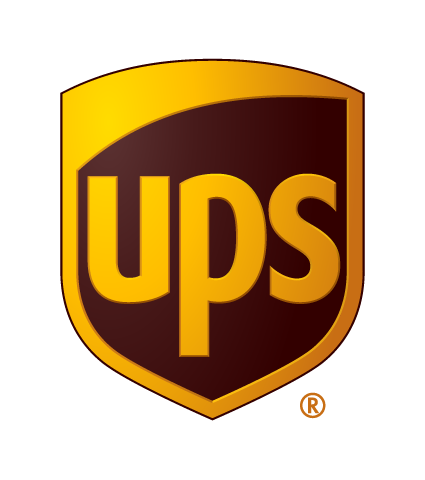 The company can be found on the web at ups.com and its corporate blog can be found at longitudes.ups.com. To get UPS news direct, follow @UPS_News on Twitter.